The Gurnee Weight Loss Center offers personalized medical weight loss and holistic health programs based on medical and scientific principles that target the root causes of obesity & weight gain. 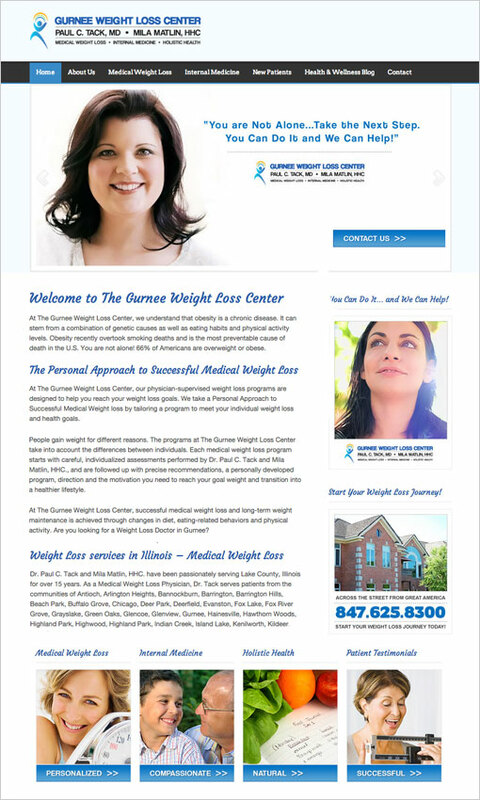 GWL commissioned Logicastle to create a weight loss web design a clean, inviting, modern and professional WordPress website that would create awareness and help GWL to reach the Gurnee, IL marketplace. The website would increase the number of new client walk-ins on a weekly basis and followed best practices for online patient appointments that integrated with their existing patient management software. Weight loss web design. Online patient appointments that integrated with their existing patient management software.